During the early 20th century, an adventurer and pioneer named Douglas Mawson led an Antarctic Expedition that truly tested this man’s resilience that against all odds managed to survive extreme weather conditions of this desolate place, however his two companions perished. Once he returned to civilization, he came under extreme pressure from society on how he survived and whether this was possible and if he had considered eating his dead comrades. Although knighted, this amazing story is still questioned by scientists and philosophers today and this is where Tim Jarvis decides to follow in the footsteps of Mawson in this engaging documentary. Jarvis makes the ultimate sacrifice as he attempts to recreate Mawson’s journey by using the same equipment and clothing as Sir Douglas Mawson. 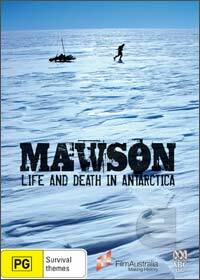 The documentary successfully melds new footage and original photographs from Mawson’s expedition which truly gives you an insight into how dangerous it was for Mawson and proves that some odds can be overcome by the power of the human spirit.